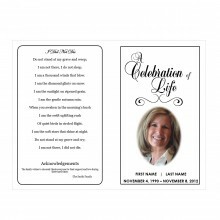 Looking for a religious obituary program template that is simple to print and assemble and that has a modern look? 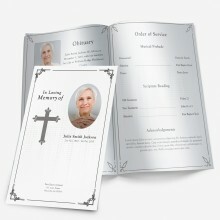 The Bible Theme Funeral Program Template is the perfect choice for your funeral programs. The brown color scheme of this obituary program template gives it a masculine feel that makes it a popular choice celebrating the lives of men, but it is also suitable for women’s funerals and memorial services. A stylish damask pattern adorns every page, and the front cover of the funeral service program template shows a bible with a wood cross. 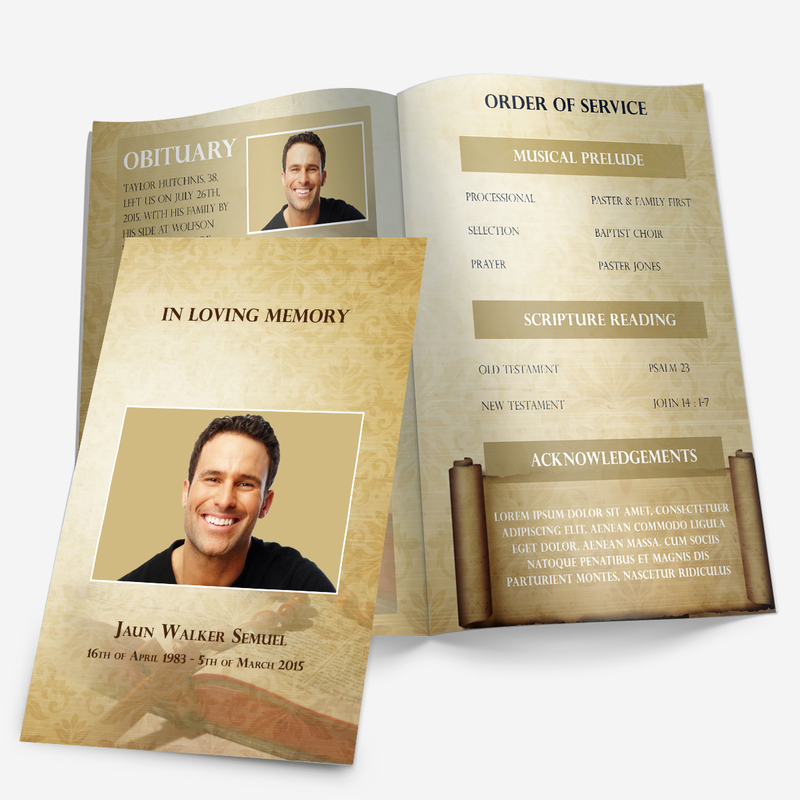 Inside of the Bible Theme memorial service program template is plenty of room for the information about the service and about your loved one. 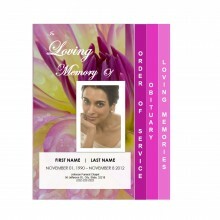 The left side of the Funeral Program Template has an obituary template area with room for a photograph. A simplified order of service is included on the right with brown boxes to identify key parts of the service. At the bottom, you can add acknowledgments to the brown scroll. 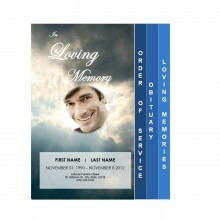 This memorial program template is editable with Microsoft Word, or you can add the customization service to your order and have us edit all of the text and the photographs for you.